In this first product in the "Essence" Line we introduce the spirit and "essence" of what the Chivalry & Sorcery game is all about. 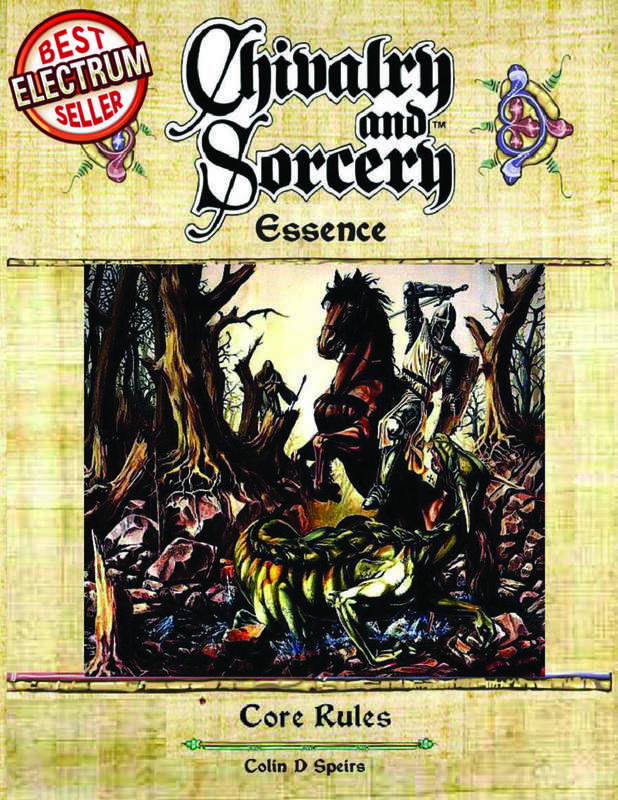 Chivalry & Sorcery Essence is the first in a series of independent stand alone rules combining a specific background with a set of fast play rules. These rules are easy to learn and versatile,designed to give players and referees a feel of the "Essence" of the atmosphere and spirit of a magical, Medieval world. Inside this 44 page booklet is everything you need; Character Generation, Character Sheets, Rules (of course) and even a campaign setting and introductory adventure. Let Chivalry & Sorcery Essence be a map to a world you only thought you knew.